THE Mater Mackay Hospital has warned patients to be cautious of a scam involving the hospital's name. In an online post, the hospital said it had been made aware of a text scam being used in an effort to solicit money from people. "We have been made aware that local residents are receiving texts from an unknown number from an individual posing as a collection agent on behalf of the Mater Mackay," it said. "Please be aware that this is a scam." 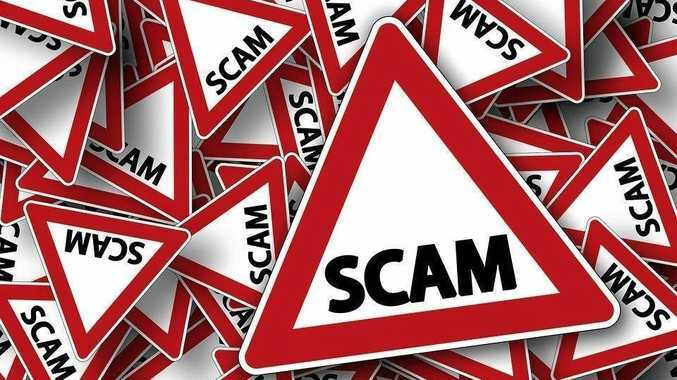 This warning comes days after a Mackay resident lost more than $3000 of his savings during a seven-hour marathon Australian Taxation Office scam call. On the same day, police reported similar tactics used to target a man in Logan and a woman in Maryborough. The woman presented herself to the local police station after she received a threatening phone call but the man lost $9000. Be alert to the fact that scams exist. When dealing with uninvited contacts from people or businesses, whether it's over the phone, by mail, email, in person or on a social networking site, always consider the possibility that the approach may be a scam. Remember, if it looks too good to be true, it probably is. If a message or email comes from a friend and it seems unusual or out of character for them, contact your friend directly to check that it was really them that sent it. Or pop-up windows or click on links or attachments in emails - delete them: If unsure, verify the identity of the contact through an independent source such as a phone book or online search. Don't use the contact details provided in the message sent to you. Don't respond to phone calls about your computer asking for remote access - hang up - even if they mention a well-known company such as Telstra. Scammers will often ask you to turn on your computer to fix a problem or install a free upgrade, which is actually a virus which will give them your passwords and personal details. 3. Keep your personal details secure. Put a lock on your mailbox and shred your bills and other important documents before throwing them out. Keep your passwords and pin numbers in a safe place. Be very careful about how much personal information you share on social media sites. Scammers can use your information and pictures to create a fake identity or to target you with a scam. 4. Keep your mobile devices and computers secure. Always use password protection, don't share access with others (including remotely), update security software and back up content. Protect your WiFi network with a password and avoid using public computers or WiFi hotspots to access online banking or provide personal information. 4. Beware of any requests for your details or money. Never send money or give credit card details, online account details or copies of personal documents to anyone you don't know or trust. Don't agree to transfer money or goods for someone else: money laundering is a criminal offence. 5. Be wary of unusual payment requests. Scammers will often ask you to use an unusual payment method, including preloaded debit cards, gift cards, iTunes cards or virtual currency such as Bitcoin.